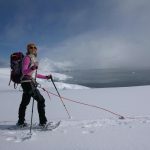 Aurora Expeditions is expanding its portfolio of Antarctic activities for the 2017/18 season with the introduction of ski touring and snowshoeing. Antarctic ski touring will offer the experienced and the bold an opportunity to ski near-virgin glacial slopes, traverse remote areas to iceberg-studded bays rarely seen by human eyes, gaze at penguin rookeries and breaching whales in hard-to-access locations, or even follow in Shackleton’s footsteps across South Georgia. Travelling in small groups with highly experienced mountain ski guides, expeditioners will learn mountaineering and ski-touring skills such as ice-axe and crampon use, roped glacier travel, avalanche procedures and emergency shelter construction. The two new activities are available on selected 2017-18 itineraries. Expedition fares start from about $11,700 per person, with ski touring starting from an additional $1200 per person and snowshoeing from about an additional $330 per person. Phone 02 9252 1033 or visit www.auroraexpeditions.com.au. 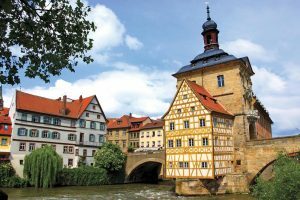 The German town of Bamberg … a UNESCO World Heritage site since 1993. Book a Travelmarvel cruise from Amsterdam to Budapest in 2018 and you could fly there free with the company’s early-bird offer. The offer applies to all cabin types and brings the starting price of an itinerary down to $4995 per person twin-share ex Australia. 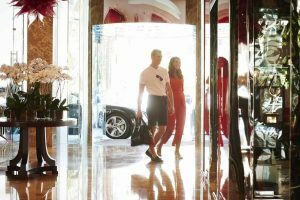 Guests who combine one of Travelmarvel’s ‘European Gems’ cruises with a land tour can save an additional $1000 per couple, while premium economy fares of $995 and business class fares of $2995 are also available for select cruises and cabin categories. The 15-day ‘European Gems’ itinerary takes in the Netherlands, Germany, Austria, Slovakia and Hungary, stopping to explore up to 18 towns, cities and villages along the way. Phone 1300 196 420 or visit www.travelmarvel.com.au. Kenya … a jewel in the African crown. 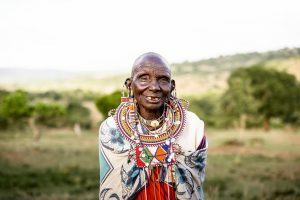 From the snow-capped peaks of Mount Kenya, to flamingo-ringed soda lakes and the Indian Ocean coast, rolling savannah, vibrant tribes, shimmering desert and big-game wildlife, Kenya is one of the jewels in the African crown. It is where the concept of the safari was born, and home to many of Africa’s most celebrated national parks and game reserves. Perhaps the best known is the Masai Mara, which lies in the country’s south-west and is effectively the northern continuation of Tanzania’s Serengeti National Park in — and provides the stage for one of the natural wonders of the animal kingdom, the annual wildebeest migration, in which more than two million wildebeest and zebra follow greener pastures. Sanctuary Retreats’ tented Sanctuary Olonana is situated on a private stretch of the Mara River in the heart of the Mara. 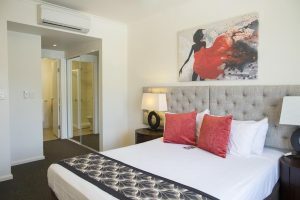 Rates normally start from about $465 per person per night twin-share, but there are discounts of 30-40 per cent for extended stays of at least three nights. Prices on Cruise1st’s 14-night cruise/stay/fly Sydney-Singapore package on Royal Caribbean’s Ovation of the Seas start at $2499 per person twin-share, including air travel back to Australia and two nights post-cruise in Singapore. Departure is March 26 and ports of call include Brisbane, Darwin and Kuala Lumpur. MSC Splendida … heading for nine nights around Japan. Next May, just in time for Japan’s famous cherry blossom season, MSC Splendida will set sail on a nine-night round-trip from Yokohama, taking in some of the islands’ most beautiful natural, historic and contemporary sights. The ship will circumnavigate the main island of Honshu, calling at Fushiki-Toyama, Kanazawa and Maizuru, then spend half a day at Busan in South Korea, before visiting Kagoshima on Kyushu Island and Kochi on Shikoku Island. Two separate days at sea offer the chance for guests to make the most of MSC Splendida’s many attractions. 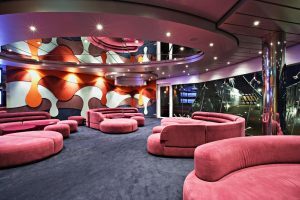 Prices for the round-trip cruise are from $1549 per person, with children under the age of 18 sharing a cabin with parents cruising free and only paying port charges. The top of the Sydney Harbour Bridge … climbers greeted by live music. 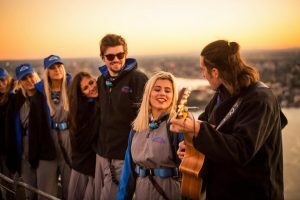 Twilight climbs on all weekends in July and August will see four local musical artists serenade climbers at the summit of the Sydney Harbour Bridge. Phone (02) 8274 7777 or visit www.bridgeclimb.com. Phone 1300 833 611 or visit www.emporiumhotels.com.au. Phone 131 517 or visit www.mantra.com.au. 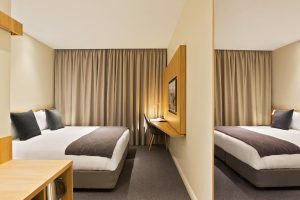 Phone 1800 004 321 or visit www.metrohotels.com.au. Phone 02 4984 9100 or visit www.martys.net.au. 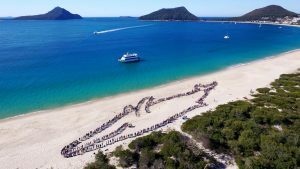 For general regional inquiries visit www.portstephens.org.au.